One of the best thing that happed to the tech industry is the involvement of Google with Linux that brought us the best mobile operating system called Android. The best part was yet to happen, when Google started the AOSP project, releasing every version (except 3.x) of the Android under an Open SOurce License. The above, had excited developers but mostly the hackers around the world. The results where some of the best custom made Android ROMs ready for install e.g. 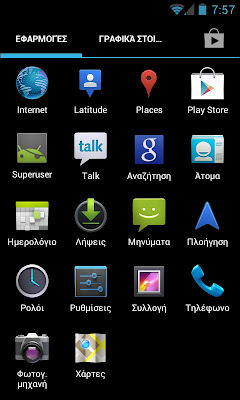 Cyanogen Mod, MiUi, Oxygen ROM etc. But yet there was no (not that I know) ROM that respects the stock rom and just removes all the "extra" apps that nobody asked the users if they wanted those apps. 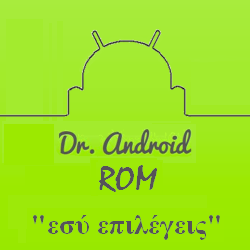 Stability: Dr Android ROM, will use the stock rom as a base operating system, that comes with your phone so that you will be sure that it just works. It will not alter the appearance and internals in any dangerous way. Optimization: Often the stock ROM is really "FAT"... Dr Android ROM surgically removes any fat that will decrease your phone's performance. More Room for Apps: There are always better apps available from the stock ones that come by default with your phone. 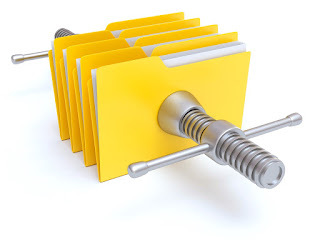 Dr Android ROM removes those apps and lets you decide what to install. Tweaks: Android that comes by default has room for some tweaks that will change your perspective for how good is your phone. Here are some screenshots where you can see the version and the list of default apps that are installed with the Dr Android ROM. Download: Nexus S "Android ROM"
If you don't know what Root, Recovery and ROM is... then you are in the wrong place and you should ignore this post and read some other interesting articles. 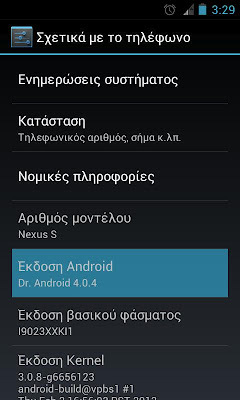 The rest of you who installed it, please head over the Greek Post on www.doctorandroid.gr and leave a comment.